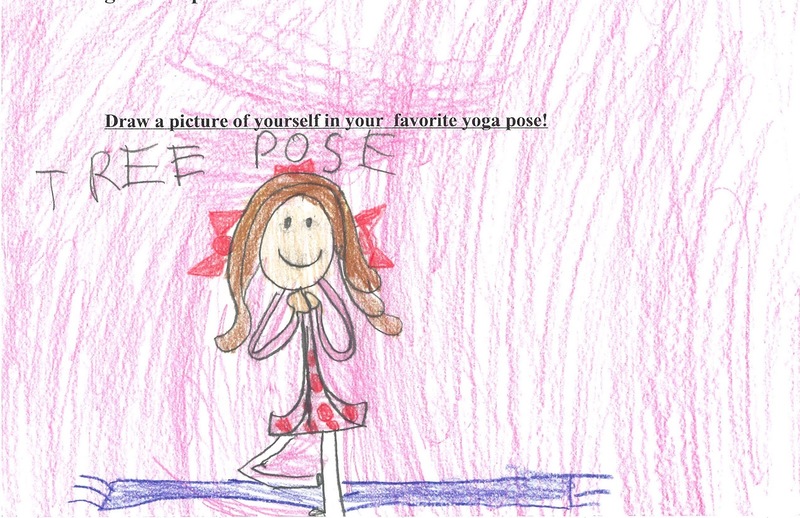 If you played Yoga Jeopardy with me a few days ago, you'll remember that people of all different ages enjoy doing yoga. 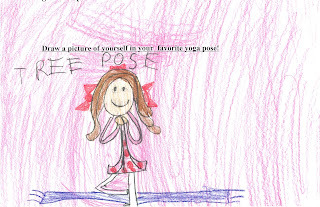 My youthful yogi friend Sasha knows all about this...she takes a yoga class at school every week, her mom practices yoga and so does her grandma, pretty cool! Sasha sent me a picture of the 3 youthful yogis in her family doing yoga together...can you guess which pose they're in? Thanks for the photo, Sasha! Has this ever happened to you...you're telling someone a story about something you did in a yoga class and they look at you like you're from the moon? Well, guess what? They are probably wondering what you are talking about...as in: what is yoga? where did it come from? what's with the funny name? and... is yoga that new kind of yogurt my mom just bought ? Let's set the record straight! Here are answers to some of the questions you might hear. Feel free to share this information with your friends; that way the next time you talk about your yoga class, they won't go lunar on you! Yoga is a way of moving our bodies and using our breath so that we can feel comfortable and calm in our bodies everyday. Asana is the word for poses that we do to stretch, strengthen and relax. Pranayama is the word for the way we use our breath to warm up, cool down, quiet the mind and stay alert. Yoga also relates to how we live our lives, especially in terms of the way we treat others and ourselves. 2) Where is yoga from? Yoga is thousands of years old; it began in the part of the world that is now the country of India. Sanskrit is an ancient Indian language and most yoga poses have Sanskrit names, that's why they sound a little funny. 3) What's with the name? Yoga comes from the Sanskrit word "yuj" which means to unite or bring together. Yoga helps us to feel connected, and that's a good thing! 4) What about that new kind of yogurt my mom bought? I really can't help you with that one. A lot of people like Greek yogurt these days, but that doesn't have much to do with yoga...except that it might make you feel good. I hope this gives you some helpful information to share with your friends and family. The next time a friend looks at you funny when you're talking about yoga, just explain to them what you know. And if they're still wondering about the yogurt thing, tell them a lot of moms are going Greek! Jeopardy is the name of a popular television quiz show, but you don't need a TV to play this version of the game. Simply take a look at the questions below and see if you can come up with the answers. You can play with a friend or on your own. The correct answers are given at the bottom of the page.....no peeking until you are ready to check your score. Good luck and have fun! 1) False! Yoga is not competitive. Youthful Yogis know that they do not need to compare themselves to others or feel judged in any way. 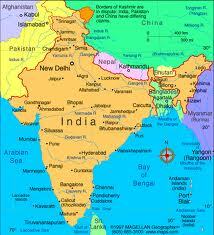 2) Yoga began hundreds of years ago in the part of the world that is now called India. 3) False! People of all ages-- kids, grown-ups, grandparents and even babies (with the help of their mom or dad!) -- do yoga. You can start yoga at any age. 4) Tree pose is a balancing pose! It also helps to strengthen your lower body and quiet your mind. An example of a back bend is cobra pose, and child's pose (which I'll cover soon) is a resting pose. extra credit question: Please do not request Sanskrit for dessert the next time you go out to eat! 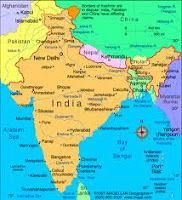 Sanskrit is an ancient language from India...it's actually considered to be one of the oldest languages in the world! The names of most yoga poses come from Sanskrit...remember bhujangasana (cobra pose)? Sanskrit words feel good in your mouth, even if they are a little tricky to pronounce. That's all the time we have for Yoga Jeopardy today...hope you had fun! Today's math is not about simplified denominators, it's about something much more exciting....geometry! As I'm sure you know, geometry is all about shapes: ovals, lines, rhomboids, squares...and who doesn't love a circle?! Most Youthful Yogis appreciate shapes of all kinds, but there is one that is often their favorite. Hint: it looks like a slice of pizza and it has the same name as a yoga pose. If you guessed a triangle, you are correct!!! Step your feet wide apart and turn your right foot out 90 degrees so that the toes point away from your body. Turn your left foot slightly to the right and extend your arms so they are parallel to the floor. Extend your right arm long, as if you are trying to touch something that is far away, this will stretch the middle of your body (your torso) also. Finally, bring your right hand down to your right shin or thigh and lift the left arm high. Open wide! If you are watching a friend do this pose, you can count the number of triangles that you see. Make sure you do the pose on both sides. 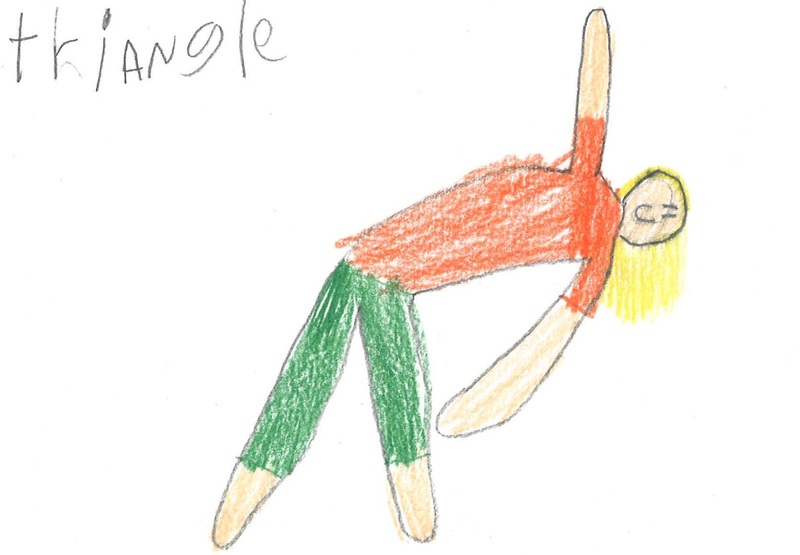 Have fun with triangle pose as you create your very own geometry. And maybe when you're done, you'll feel like going out for pizza! Today there is just one thing I need to say...your back is bony, and that's no joke! Did you know that the spine is made up of 26 bony segments called vertebra? Each vertebra sits on something soft and squishy called a disc. Discs are like little pillows that help to keep our bony backs comfortable.We should really say thank you to those discs everyday, since they allow us to easily arch back, bend forward and twist side to side. Youthful Yogis know that the spine is very important and we do a lot of exercises to help to keep it flexible. Here's an exercise you might like to try; it's not too complicated, as you can tell by the name. It's called "Sit up Tall!" Here's what you do: sit cross-legged on the floor and rest your hands on your legs. See what it feels like to slouch, letting your shoulders hunch forward and your back round...now you know what it's like to "not sit up tall". If the stem of a plant is crooked, water and nutrients can not flow from the roots to the flower and leaves. The same is true for the spine, our bodies are happy and healthy when the spine is long and tall...so now try to straighten your spine, imagining that your head is like a flower, reaching up towards the sun. 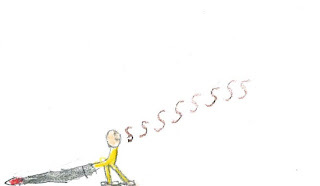 Go back and forth from "sitting up tall" to "not sitting up tall"... do you feel the difference? To finish, sit up tall as if you are going to touch the ceiling with the top of your head. Relax your shoulders and take some nice deep breaths. Ahhhh, your bony back is happy right now, and that's a good thing! There are lots of different kinds of snakes in the world...rattlers like the desert, pythons like the rain forest. 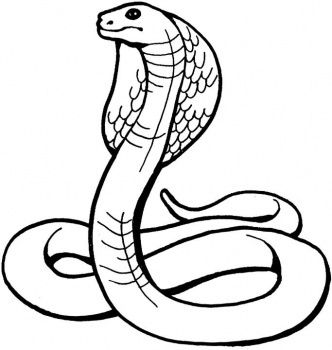 But one kind of snake you don't see around too much, except in a yoga class, is the cobra! Cobra pose is called bhujangasana (pronounced "boo-jang-gahs-anna") in Sanskrit, and it's a favorite pose of many Youthful Yogis...let's give it a try! For cobra pose, lie on your belly and stretch your legs out long. Bring your hands to the floor below your shoulders and hug your elbows in close to your ribcage, spread your fingers wide! As you inhale (breath in) straighten your arms slightly and press up, lifting your chest off the floor. The best part of cobra pose is making some noise...hsssss like a snake once you are in cobra pose and keep your chest lifted for a few more seconds. When you are ready to come out of the pose, lower your chest carefully back to the floor, take a rest and notice how you feel. Cobra pose is a great stretch for the spine. It also stretches the chest and is good for your internal organs too. 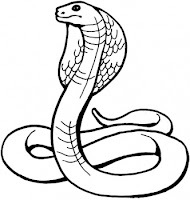 When you exhale with a "ssssssss" in cobra pose, it relaxes your body and feels fun in your mouth. Slither into cobra pose sometime and have fun feeling snakey! Have a great day and I'll be back soon! Welcome to the Youthful Yogis Blog! Today, we'll start with a question...what stands still, wears polka dots and balances on one leg?....a Youthful Yogi in tree pose, of course! But you don't need to wear polka dots to give tree pose a try. 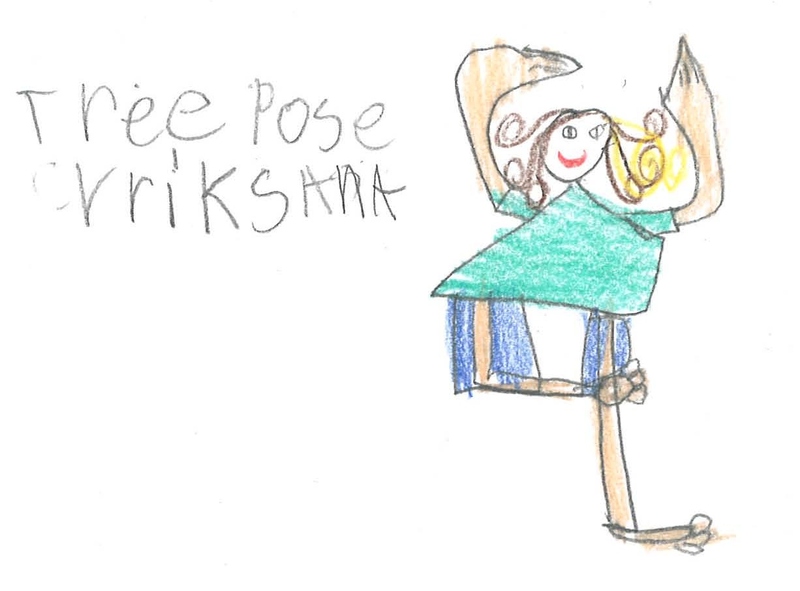 In Sanskrit tree pose is known as Vrksasana, and it's really pretty fun. Here's what you do: Stand with both feet on the ground. Lift one leg and bring the bottom of your foot to the inside of the leg that you are standing on. Don't press your foot into your knee joint! Place the foot above or below the joint to keep your knee happy and healthy. You can bring the palms of your hands together at the center of your chest, like the polka dotted Youthful Yogi shown here. Or you can lift your arms up overhead. Take five long, deep breaths....bring your foot down at anytime if you feel tippy! When you are finished on the first side, rest for a few seconds with both feet on the ground. Then you can try the pose on the second side. Tree pose challenges our balance and helps us to feel tall and steady, as if we have strong roots connecting us to the earth. You can practice tree pose at any time of day, and you might like to teach it to a friend. Have fun! Thanks for joining me today, Youthful Yogis. I'll be back soon!